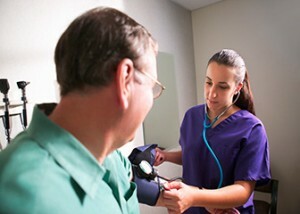 Medical assistants help physicians in offices, hospitals, and clinics. They keep medical records, help examine and treat patients, and perform routine office duties to allow physi­cians to spend their time working directly with patients. Medical assistants are vitally important to the smooth and efficient operation of medical offices. 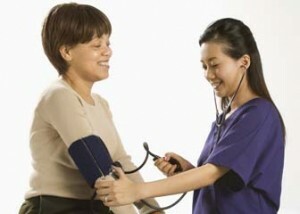 There are approxi­mately 387,000 medical assistants employed in the United States. People have studied the workings of the human body and its ailments since the earliest civilizations, but the field of health care has made its most rapid progress during this century. New surgical techniques, drugs, treatments, and disease-prevention methods have helped save millions of lives. In addition, the population in the United States has grown rapidly, and hospitals, clinics, and health care centers have become more plentiful and crowded. At one time, a physician would be able to run a small private practice with perhaps one nurse as an assistant. However, in the face of the rapid expansion of available ser­vices and patients who need them, physicians began to need more help. By 1950, medical assistants were a recognized, registered occupational group. The amount of supplies, the number of patient records, and the new and complex forms of insurance and payments that health care provid­ers must deal with make medical assistants essential in any busy medical office. Depending on the size of the office, medical assistants may perform clerical or clinical duties, or both. The larger the office, the greater the chance that the assistant will specialize in one type of work. In their clinical duties, medical assistants help physicians by preparing patients for examination or treatment. They may check and record patients’ blood pressure, pulse, tem­perature, height, and weight. Medical assistants often ask patients questions about their medical histories and record the answers in the patient’s file. In the examining room, the medical assistant may be responsible for arranging medical instruments and handing them to the physician as requested during the examination. Medical assistants may prepare patients for X rays and laboratory examinations, as well as administer electrocardiograms. They may apply dressings, draw blood, and give injections. Medical assistants also may give patients instructions about taking medications, watch­ing their diet, or restricting their activities before laboratory tests or surgery. In addition, medical assistants may collect specimens such as throat cultures for laboratory tests and may be responsible for sterilizing examining room instru­ments and equipment. Medical assistants are responsible for preparing examining rooms for patients and keeping examining and waiting rooms clean and orderly. After each examination, they straighten the examining room and dispose of used linens and medical supplies. Sometimes medical assistants keep track of office and medical supply inventories and order necessary supplies. They may deal with pharmaceutical and medical supply com­pany representatives when ordering supplies. At other times, medical assistants may perform a wide range of administrative tasks. Medical secretaries and medical receptionists also perform administrative activi­ties in medical offices, but these workers are distinguished from medical assistants by the fact that they rarely per­form clinical functions. 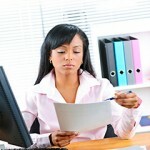 The administrative and clerical tasks that medical assistants may complete include typing case histories and operation reports; keeping office files, X rays, and other medical records up to date; keeping the office’s financial records; preparing and sending bills and receiving payments; and transcribing dictation from the physician. Assistants may also answer the telephone, greet patients, fill out insurance forms, schedule appointments, take care of correspondence, and arrange for patients to be admitted to the hospital. 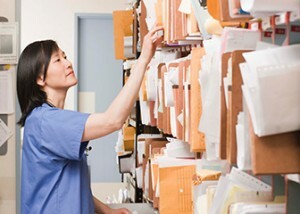 Most medical assistants use word processors and computers for most record-keeping tasks. Some medical assistants work in ophthalmologists’ offices, where their clinical duties involve helping with eye examina­tions and treatments. They use special equipment to test and measure patients’ eyes and check for disease. They adminis­ter eye drops and dressings and teach patients how to insert and care for contact lenses. They may maintain surgical instruments and help physicians during eye surgery. Other medical assistants work as optometric assistants, who may be required to prepare patients for examination and assist them in eyewear selection; chiropractor assistants, whose duties may include treatment and examination of patients’ muscular and skeletal problems; and podiatric assistants, who assist podia­trists during examinations and surgery, take and develop X rays, and make castings of patients’ feet. Medical assistants usually need a high school diploma, but in many cases receive specific training on the job. High school courses in the sciences, especially biology, are helpful, as are courses in algebra, English, book­keeping, typing, computers, and office practices. Formal training for medical assistants is available at many trade schools, community and junior colleges, and universi­ties. College programs gener­ally award an associate’s degree and take two years to complete. Other programs can last as long as a year and award a diploma or certificate. Prior to enrolling in any school program, you should check its curriculum and verify its accreditation. Schools for medical assis­tants may be accredited by either the Commission on Accredita­tion of Allied Health Education Programs, which has approved approximately 500 medical and ophthalmic programs; the Accrediting Bureau of Health Education Schools, which has accredited approximately 170 medical assisting programs; or the Committee on Accredita­tion for Ophthalmic Medical Personnel, which has accredited approximately 17 ophthalmic medical assisting programs and two programs in ophthalmic clinical assisting. Course-work includes biology, anatomy, physiology, and medical terminology, as well as typing, transcribing, shorthand, record keeping, and computer skills. Perhaps most importantly, these programs provide supervised, hands-on clinical experience in laboratory techniques, first-aid procedures, proper use of medical equipment, and clinical procedures. You also learn administrative duties and procedures in medical offices and receive training in interpersonal communications and medical ethics. 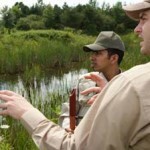 Voluntarily certification is available from certain professional organizations. The registered medical assistant credential is awarded by American Medical Technologists, and the Ameri­can Association of Medical Assistants awards a credential for certified medical assistant. Ophthalmic assistants can receive the following designations from the Joint Commission on Allied Health Personnel in Ophthalmology: certified oph­thalmic assistant, certified ophthalmic technician, and cer­tified ophthalmic medical technologist. Medical assistants generally do not need to be licensed. Some states require medical assistants to pass a test or take a course before they can perform certain tasks like taking X rays. To be a successful medical assistant, you must be able to interact with patients and other medical personnel and be able to follow detailed directions. In addition, you must be dependable and compassionate and have the desire to help people. Medical assistants must also respect patients’ privacy by keeping medical information confi­dential. Overall, medical assistants who help patients feel at ease in the doctor’s office and other medical settings and have good communication skills and a desire to serve should do well in this job. Students in postsecondary school medical assistant programs will have the chance to explore the field through the super­vised clinical experience required by the various programs. Others may wish to gain additional experience by volunteer­ing at hospitals, nursing homes, or clinics to get a feel for the work involved in a medical environment. You may want to talk with the medical assistants in your own or other local physicians’ offices to find out more about the work they do. About 387,000 medical assistants are employed in physi­cians’ offices, clinics, hospitals, health maintenance orga­nizations, and other medical facilities. Approximately 60 percent work in private doctors’ offices and 14 percent work in hospitals. Another 11 percent work in optom­etrists’, podiatrists’, and chiropractors’ offices and other health care facilities. Students enrolled in college or other postsecondary school medical assistant programs may learn of available posi­tions through their school career services offices. High school guidance counselors may have information about positions for students about to graduate. Newspaper want ads and state employment offices are other good places to look for leads. You may also wish to call local physicians’ offices to find out about unadvertised openings. Experienced medical assistants may be able to move into managerial or administrative positions without further education, but moving into a more advanced clinical position, such as nursing, requires more education. As more and more clinics and group practices open, more office managers will be needed, and these are positions that well-qualified, experienced medical assistants may be able to fill. As with most occupations, today’s job mar­ket gives medical assistants with computer skills more opportunities for advancement. The earnings of medical assistants vary widely, depending on experience, skill level, and location. According to the U.S. Department of Labor, median annual earnings of medical assistants were $25,350 in 2005. The lowest 10 per­cent earned less than $18,330, and the highest 10 percent earned more than $35,270 a year. Mean annual earnings of medical assistants who worked in offices of physicians were $26,370 and in hospitals they were $26,890. Medical assistants usually receive six or seven paid holidays a year, as well as annual paid vacation days. They often receive health and life insurance, a retirement plan, sick leave, and uniform allowances. Most medical assistants work in pleasant, modern sur­roundings. The average medical assistant works 40 hours a week, including some Saturday and evening hours. Sterilizing equipment and handling medical instruments require care and attentiveness. As most professionals in the health sciences will attest, working with people who are ill may be upsetting at times, but it can also have many personal rewards. Employment for medical assistants will grow much faster than the average for all occupations through 2014, accord­ing to the U.S. Department of Labor. Most openings will occur to replace workers who leave their jobs, but many will be the result of a predicted surge in the number of physicians’ offices, clinics, and other outpatient care facilities. The growing number of elderly Americans who need medical treatment is also a factor for this increased demand for health services. In addition, new and more complex paperwork for medical insurance, malpractice insurance, government programs, and other purposes will create a growing need for assistants in medical offices. Many physicians prefer experienced and formally trained medical assistants, so these workers will have the best employment outlook. 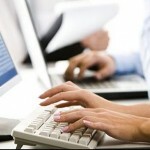 Word-processing skills, computer skills, and formal certification are all definite assets.